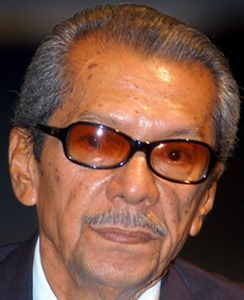 KUALA LUMPUR: Veteran actor Datuk Mustapha Maarof passed away at Tuanku Mizan Armed Forces Hospital, here, at 8.40am Monday. Born Mustapha Azhari Maarof, the 79-year-old actor had been receiving treatment for lung complications at the hospital’s intensive care unit for the past two weeks. According to his daughter, Azlynna Mustapha, his remains would be taken to Sentul Mosque for the funeral prayers before burial at the Jalan Ampang Muslim Cemetery, expected to be after Zohor. She said Mustapha was surrounded by his children and other close family members when he breathed his last. Mustapha had been admitted to Kuala Lumpur Hospital’s Institute of Respiratory Medicine on Nov 25 when he had breathing difficulty before being transferred to Tuanku Mizan Armed Forces Hospital in Wangsa Maju on Dec 2.